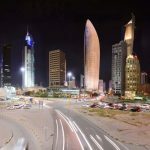 Located on a prominent site in Kuwait City, the 300-metre-high headquarters tower for the National Bank of Kuwait will have a distinctive presence among the high-rise buildings of Sharq, the city’s growing financial district. 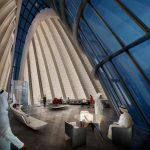 The design combines structural innovation with a highly efficient passive form, shielding the offices from the extremes of Kuwait’s climate, where temperatures average 40 degrees in the summer months. 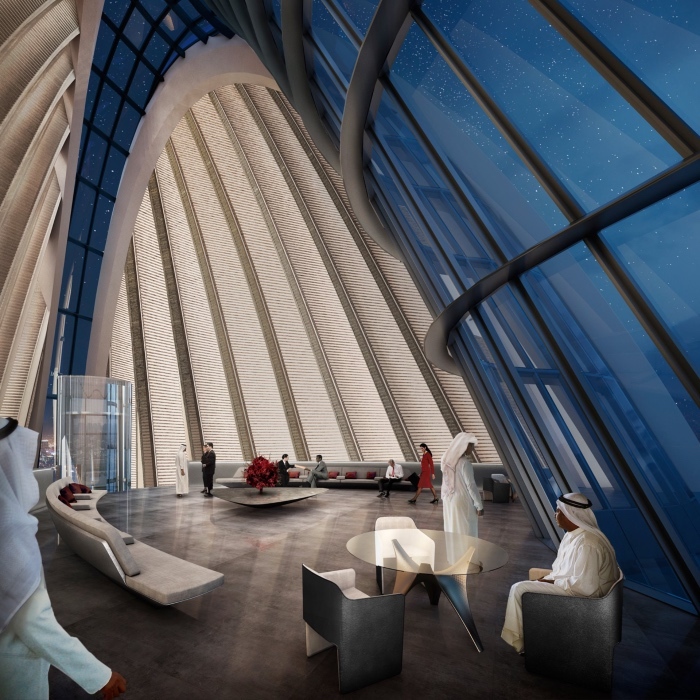 The tower‘s cylindrical form opens like a shell to the north to avoid solar gain, while revealing views of the Arabian Gulf. 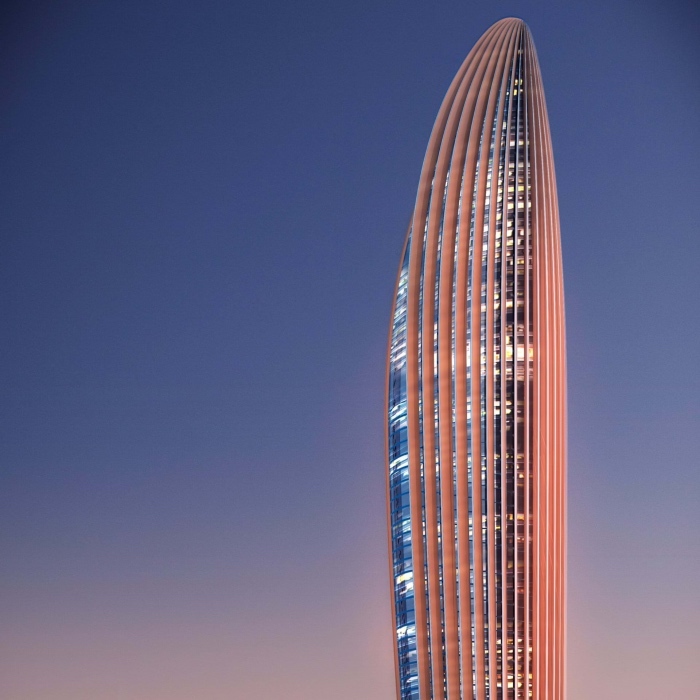 The southern façade is shaded by a series of concrete fins, which extend the full height of the tower to provide structural support. As well as contributing to the environmental strategy, these ribs help to evoke a sense of place in echoing the form of the dhow sailing boat – a reference to the city’s roots in international trade. By tapering towards the base, the design maximises floor space in the upper levels and promotes self-shading, as the overhanging floor plates shelter the offices below. 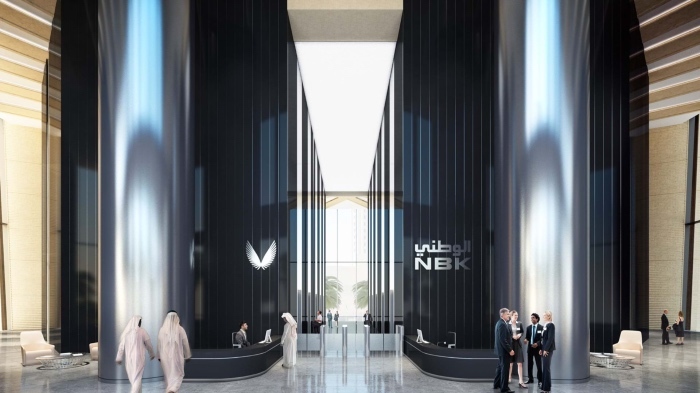 Utilising both passive and active measures to reduce water and energy consumption, the project targets a LEED Gold rating. 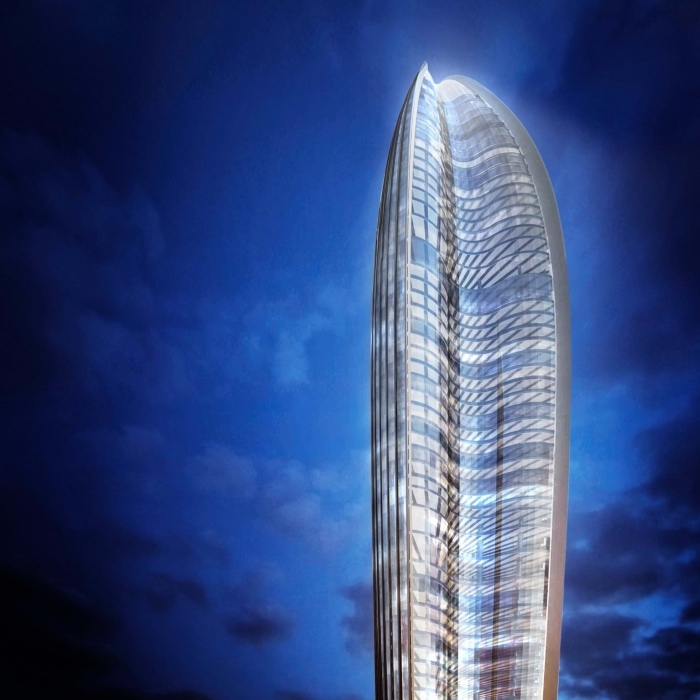 The form of the tower is equally driven by the needs of the bank. 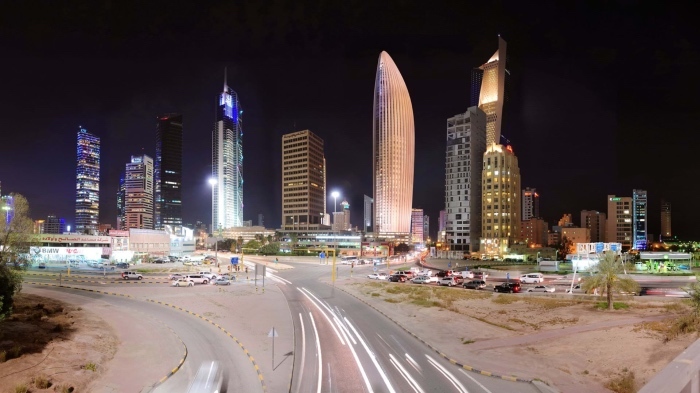 The spatial arrangement is tailored to the Bank‘s organisational structure, while providing the flexibility to anticipate and respond to future change and growth. 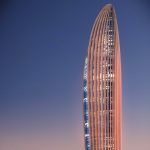 The crescent form maximises cellular office space at the perimeter, and the tower’s sixty floors are punctuated by three double-height sky lobbies, which provide a social focus and meeting facilities for staff. These communal areas are complemented by the chairman’s club with panoramic city views in the dramatic 18-metre-high volume at the tower’s apex.